Safety is always first when it comes to children and families. The trick is being prepared. That also means making sure your nanny is prepared and educated about your safety plan and what you expect. 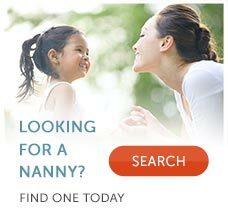 Various levels of emergencies may occur while your children are in the care of your nanny. Your child may just have a skinned knee, or they may have fallen off their bike and knocked a tooth out experienced an allergic reaction. Your nanny needs to know what the plan is in case of an emergency. Medical cards for each child. A letter of consent for your nanny to get your child medical care in the case of emergency. A list of all important phone numbers, addresses, and e-mails. A map of your neighborhood. The address and directions to the local hospital. A list of any medications anyone is on in the house and their dosages. Also any allergies. You may also choose to make a "quick list" that is business card size and laminated and have your nanny have it in her purse and one stored in the stroller. Have a fully-stocked First Aid Kit available in a primary location of the home (usually the kitchen), but also place first aid kits around your home in bathrooms, your car and even grab a travel kit for your purse. All adults in the house – nanny – parents – housekeepers – should be trained in infant/child/adult cpr/first aid. Make it an event and do it all together! Make sure your nanny knows how to swim! Have an evacuation plan as well as a meet-up spot. For example, everyone agrees to meet back at the home regardless of where they are in the city. Your evacuation plan should be feasible for the age of the children involved. Make sure if there is a "window escape" there is a rope ladder. Also discuss fire safety with your children and nanny and educate them about feeling a door to see if it is hot before opening it, getting low on the floor and on their hands and knees if there is a lot of smoke. If you have an alarm system in your home, make sure your nanny knows how to set the alarm and how to disarm the alarm as well. In the case of an emergency or natural disaster such as an earthquake, ensure that you have a kit that includes non-perishable food, batteries,a radio, and plenty of water for at least 3 days. Don’t forget if you have pets, they will need their own food and water supply as well. Children should be educated about what to do in an emergency as well. They should have knowledge of 911 and when to call. Your nanny should be educated in installing the car seat properly. I also recommend that you provide the nanny with her own car seat, to prevent error from constantly moving the car seat from one car to another. In a true emergency, a case where it is immediately considered life or death, 911 should always be called immediately. Ongoing healthy communication with your nanny will also contribute to safety plans being carried out efficiently and successfully.